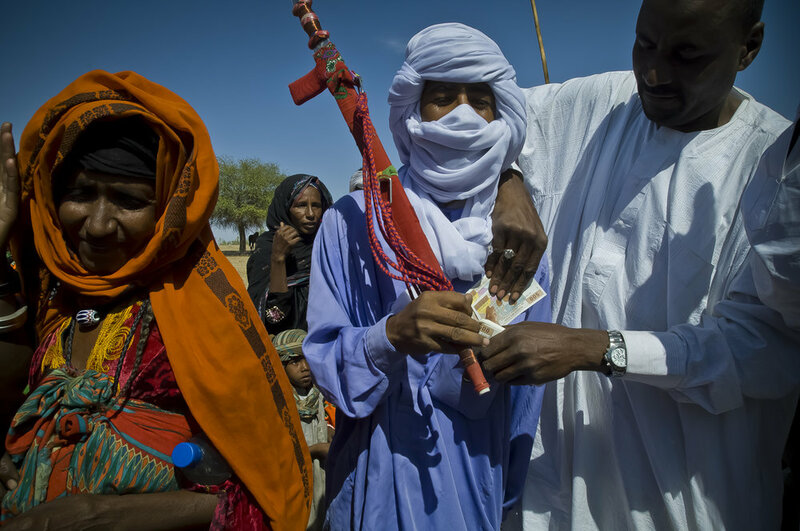 Since its independence in 1960, Chad is remembered by the world only when at the end of a motorized raid coming from sandy tracks to the velvet of the republican palaces in N'Djamena, " the place to rest" in Chadian Arabic, warlord tries to take power in with guns. 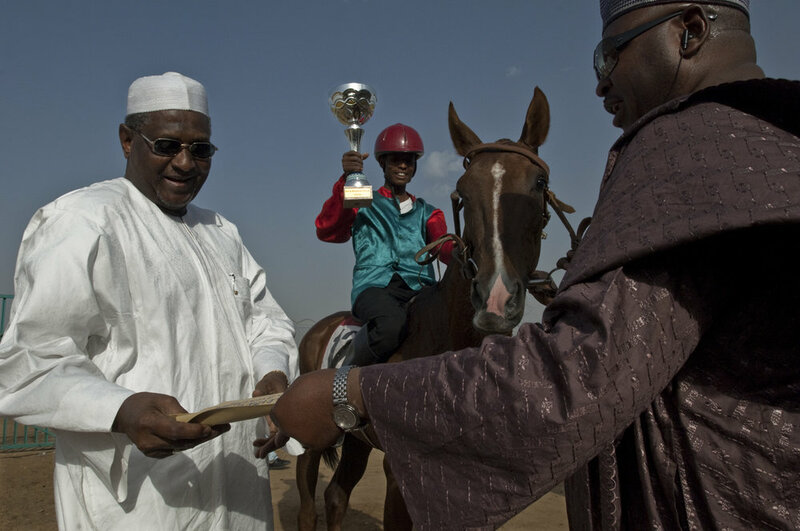 Jumping over the cliche, every Sunday from December till June, an elite issued from business, politics and diplomacy is battling during the equestrian season, on the sandy track of the racecourse of N'Djamena, the capital. 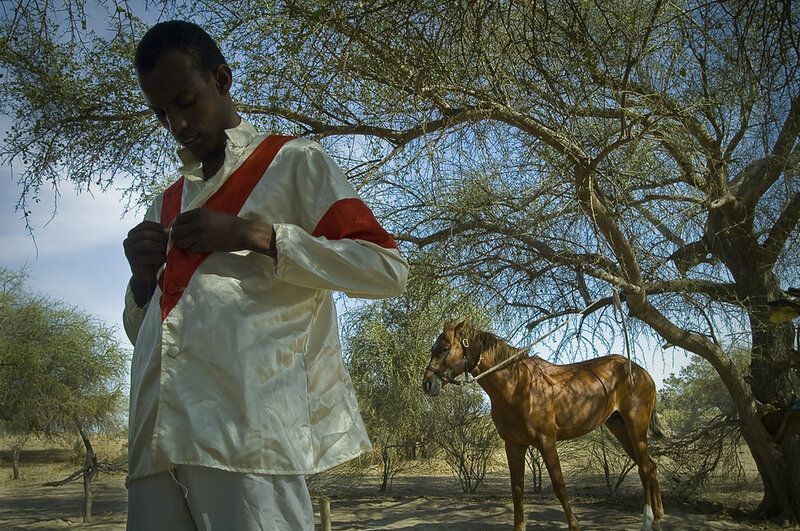 The season about 25 Sunday meetings closes traditionally with the Grand Prix of the Republic, except case of absolute necessity as in February, 2008 when the Chadian rebellion almost conquered the Presidential Palace situated a few hundred meters away from there. 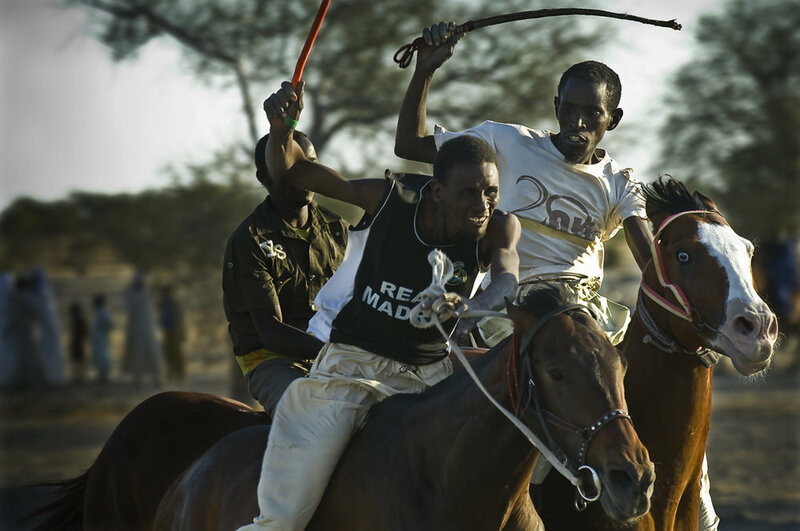 During the two days battle of N'Djamena, the racecourse, large open space, was a gathering point for the rebels and several times bombarded by the governmental aviation. 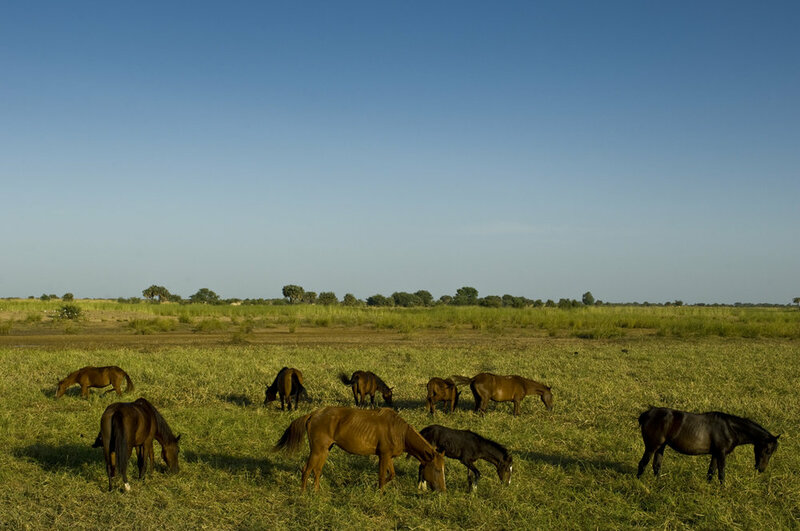 In N'Djamena, while 1,013 horses participated in the season 2008/2009, only nine mains owners (possessing more than ten horses) have the means to claim the supremacy, for honor and for pleasure. No fortune expected. Indeed, the gains do not cover the expenses. 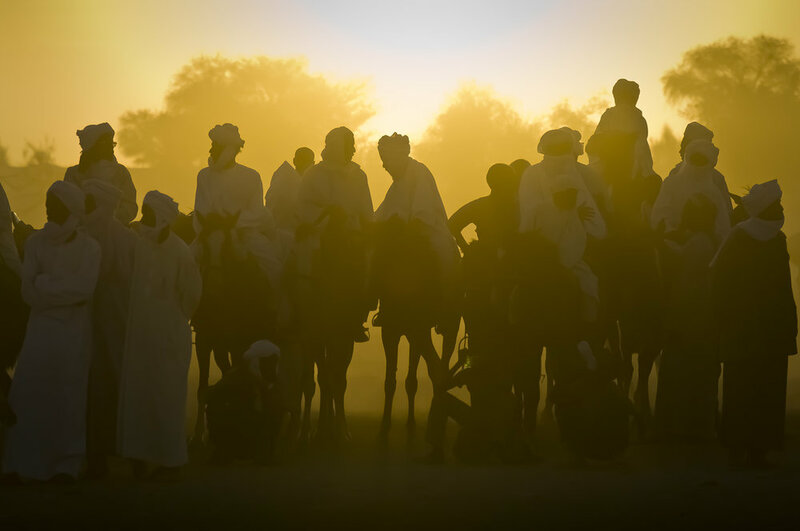 Since 2006, the arrival of private sponsorship allowed the Association for the Encouragement and the Improvement of the Race of Horses in Chad, organizer of the season, to better endow the races and to attract breeders and horses of better quality. Banks and Insurances, in particular, see races as a shop window where they give subsidy, premiums and organize shows between the races. Thanks to the capital inflow, according to specialists, the 2009/2010 Nothingness is more competitive than the Gargache of last year. 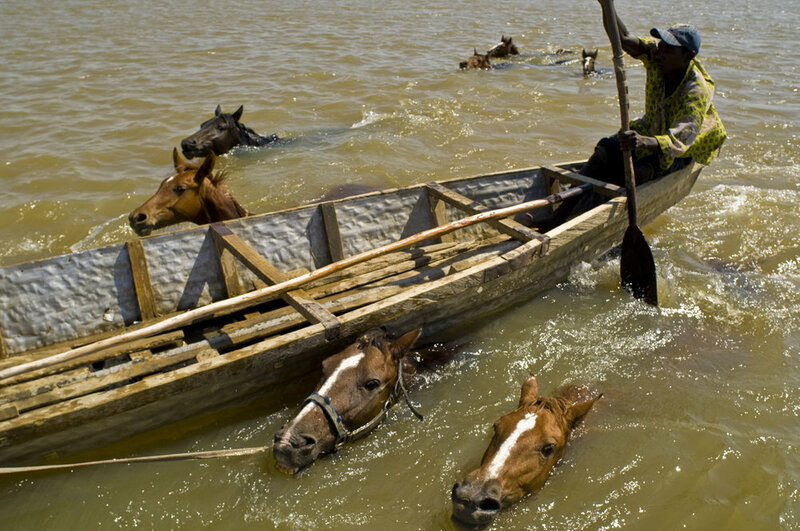 No room for horses that expert eyes gauge in a glance. 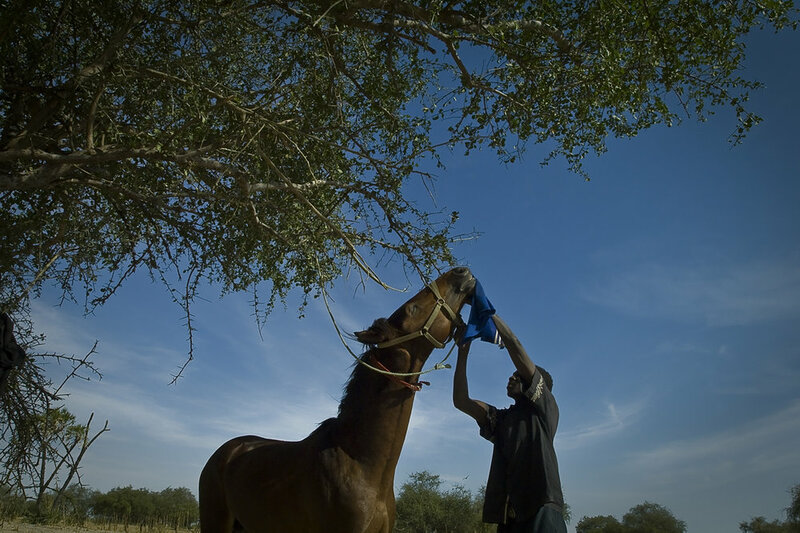 Watching a rookie, a big horse owner whistles: " It is a local nag, meant for Souk baggar (meat market in Arabic). 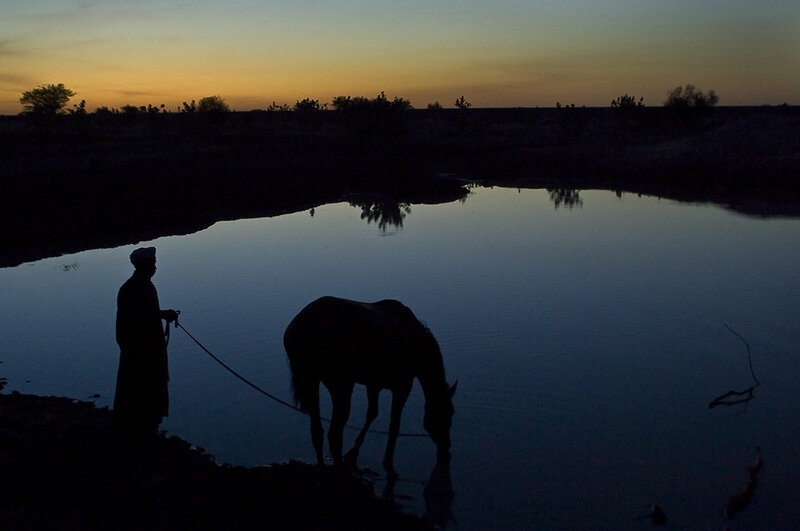 "Beaten several times, two alternatives: to go back to the village to pull a carriage or the butcher's shop where not being worth more than the price of the meat, the horse is lowered on the level of the cow! 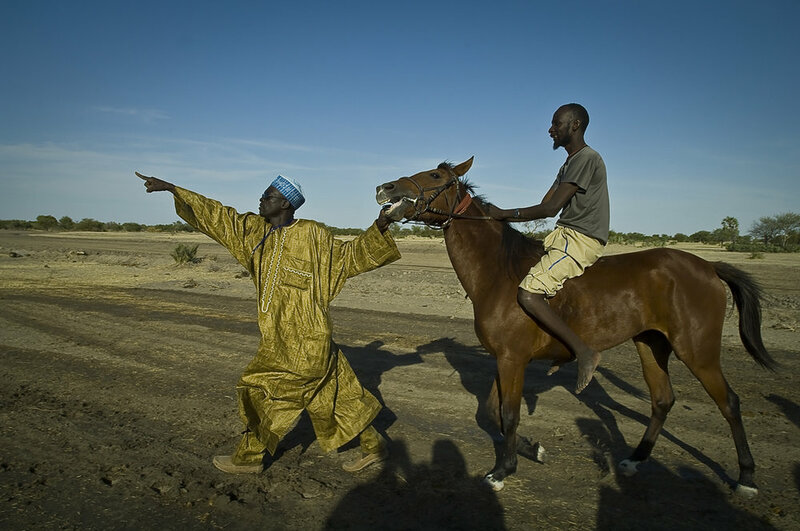 However, the most cunning or the best informed get rid of their nags by selling them in less expert Cameroon or in Nigeria, Polo land.